The ‘Park Picnic Setting’ is a simple, modern design. 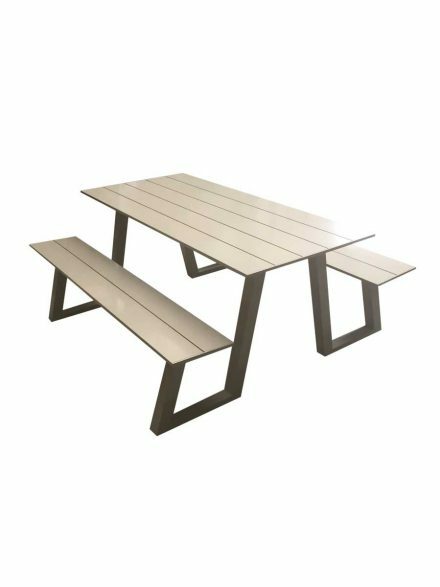 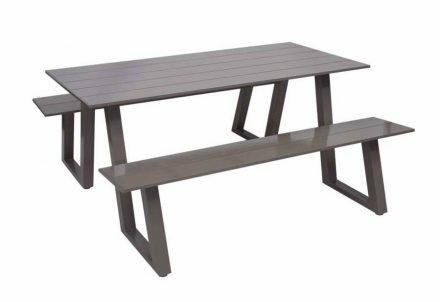 Made from Aluminium with stainless steel fittings, it is perfect if you are looking for a picnic setting that you can leave outdoors. 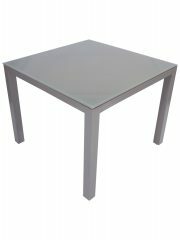 Available in one length and colour only. 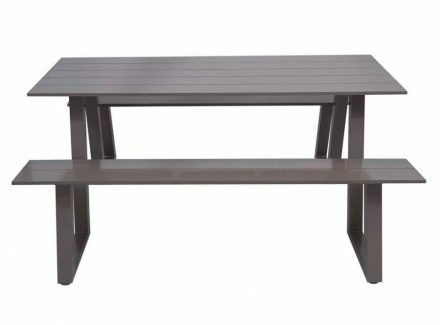 This Picnic Setting is low maintenance, lightweight and long lasting. 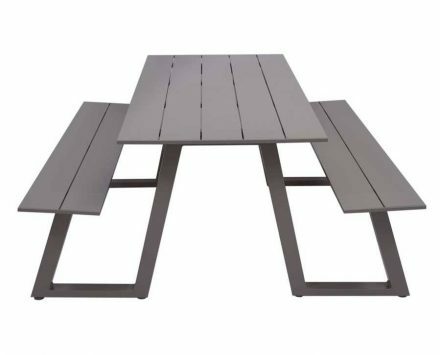 These are the main reasons our customers love all our directly imported range of Aluminium outdoor furniture. Not all Aluminium furniture is equal. The difference is in the detail. 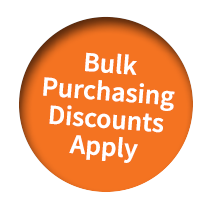 This is why our focus is on delivering high quality furniture that is not only great value but also reliable.